Are you still looking for that perfect V-day gift and grand gesture? Feel free to draw some inspiration from the world-famous Disney classic Beauty and the Beast. Remember that enchanted rose in a glass that provides a major plot point for the movie? 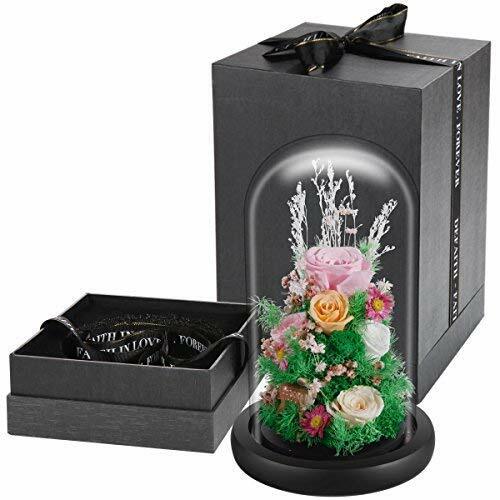 Well now DeFaith, a company that manufactures and sells various wedding and anniversary gifts has brought the flower and its nostalgic movie mystique to life. 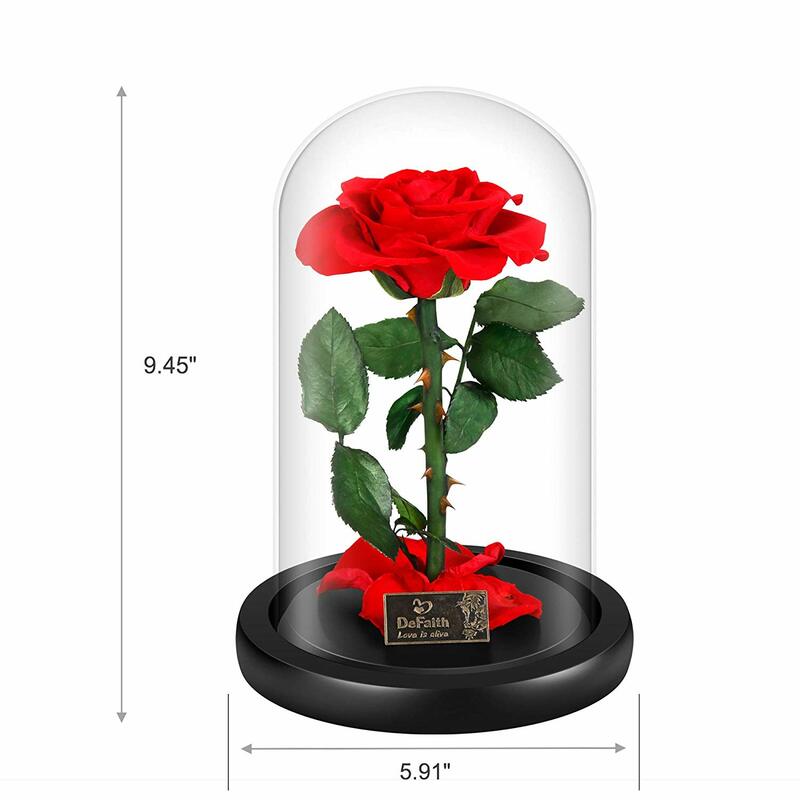 If for some reason you haven’t seen Beauty and the Beast (I’m sorry your childhood sucked), the enchanted rose in the glass case’s main selling point both in the movie and in real life, is that it will wilt and die much slower than normal. Since the rose in the movie represents eternal love and will last only so long as love does, picking up this replica set to never wilt or die sends a clear message: you want your love to last! 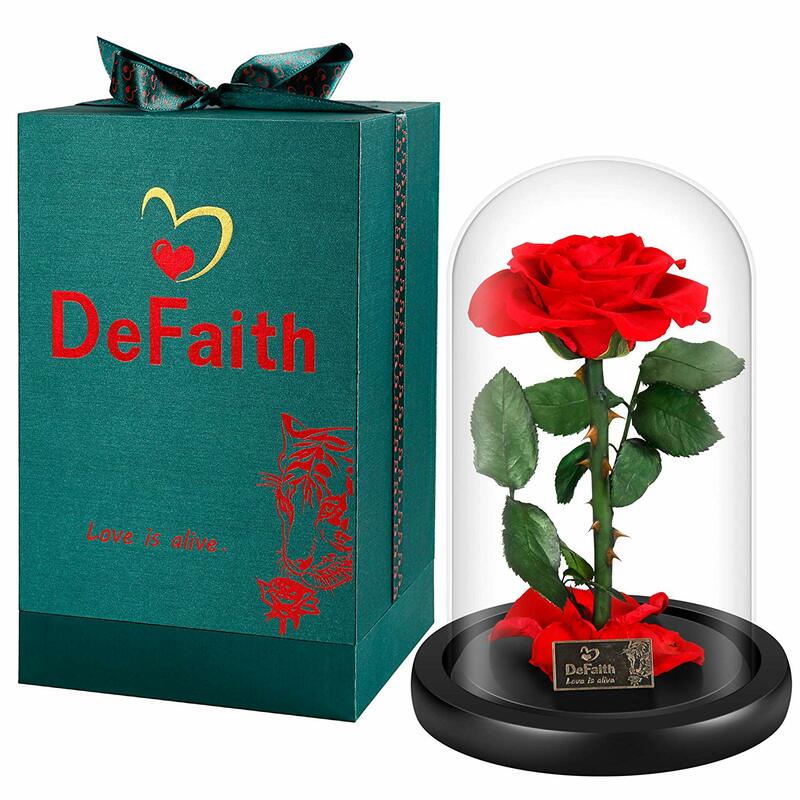 Aside from being one of Valentine’s day hottest heart-warming gifts, this DeFaith recreation is 15% off and features a 100% real rose. It even comes with a free greeting card and gift package so its ready to gift as soon as you get it! Also if the movie tie in to Beauty and the Beast isn’t as important or significant to you, DeFaith also sells a Wizard of Oz inspired one and a few designs that are not movie tie-ins but still look gorgeous, are on sale for up to 20% off and promise to last forever!